Legendary Pictures reveals Pacific Rim Uprising a Jaeger Uprising Recruitment video at San Diego Comic-Con. 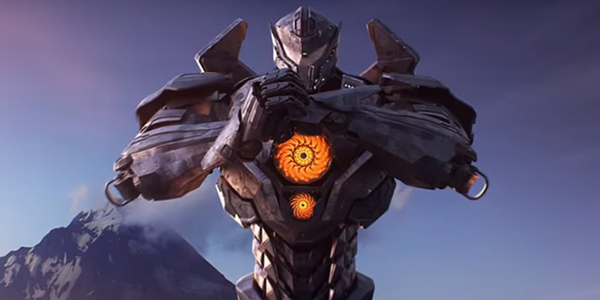 During San Diego Comic-Con, Jaeger Uprising Recruitment video was shown for the Legendary Pictures’ 2018 movie: Pacific Rim Uprising. Accompanying the video is a website where fans can text a special keyword to a specified number in order to join the Jaeger uprising. In addition, the official merchandise announcement for the Gipsy Danger via Tamashii Nations was confirmed by Tamashii Nations’ official US Twitter account. Visuals of the newly designed Jaeger pilot suits were also shown during SDCC this year. Pacific Rim: Uprising stars John Boyega as the son of Stacker Pentecost, played by Idris Elba, and Cailee Spaeny as the female lead in the sequel. The film is slated to premiere February 23, 2018.